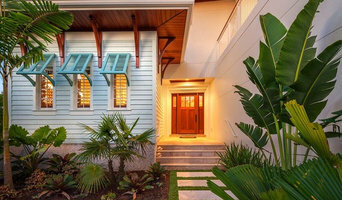 Located in downtown Sarasota, BORDEN Landscape Design is a locally engaged residential landscape design firm that prides itself with meaningful, creative design and installation solutions that creates beauty wherever you call home. 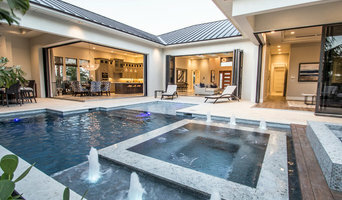 Tim Borden, the firm's founder, is a south Florida native working primarily with residential clients in Sarasota, Lakewood Ranch, Tampa Bay and south to Naples, creating exceptional landscapes for the past 16 years. His focus is contemporary, coastal and modern homes as well as Mediterranean and historic structures. Working closely with each homeowner, architect, builder and contractor, BORDEN Landscape Design is able to translate a homeowner’s desires into a living reality. We are a Boutique Firm offering Aesthetic and Artistic Landscapes. Serving Fort Myers, Estero, Bonita Springs, Naples, and Marco Island. Owners, Tim and Heather Grey, have combined their talents of interior and exterior design to offer comprehensive design services to the Southwest Florida market. Heather brings over 15 years of experience in both high end residential and award winning commercial design to G2 Studios. She is an Alumni of the University of Florida, with a degree in Interior Design and is a Florida Registered Interior Designer. Heather provides strong leadership not only in design, but in master planning, budgeting, scheduling and project management. While Heather offers services to home and business owners, she often teams up with Architects and Builders to bring value and innovation to their projects. Tim, also a University of Florida Alumni, earned a degree in Landscape Architecture and holds a State Certified Commercial Pool Contractors License. He founded G2 Studios in 2010 after co-owning SDG Landscape Architects from 2001-2010. Tim’s focus was to expand into the design-build market with G2 Studios providing design services and G2 Aquatics, Inc. providing all construction and consultation services. This allows him to focus on the construction of exterior spaces designed by G2 Studios as well as other Naples area Landscape Architects. Located In Osprey Florida, we are a Custom Design & Build Landscaping Firm. Pat Warwick, the firms founder has over 18 years of Landscape Design & Build experience and has been creating luxurious outdoor living spaces in south Florida for the past 15 years. We pride ourselves on creating unique designs and providing quality workmanship for every project. If you are interested in discussing a potential project with us, please call us directly at 941.365.6530 to set up an appointment or email info@dwyla.com. Founded in 1999 by Landscape Architect David Young, DWY has enjoyed commissions ranging from modern waterfront estates to healing gardens and beachfront parks. What began as a small practice with a focus on residential design has evolved into a firm with a portfolio that also includes a world-renowned museum, campus master-plans, parks, condominium developments, resorts and streetscapes. Born and raised in Florida, Young has a distinct perspective and inherent passion for native horticulture with a keen understanding of sustainable design. Founded in 1990, ArtisTree specializes in landscape design/installation and planned community/commercial maintenance. We are a nationally ranked, privately held company serving Sarasota, Manatee and Charlotte counties. Our tagline, “Deeper roots, higher standards” sums up what ArtisTree is all about … deeper roots because we’ve been part of the Southwest Florida community for 20-plus years. And higher standards because our standards ARE higher. Our integrity and values have made us an award-winning specialist in customer service for landscape design and maintenance projects of all sizes. The more you know about horticulture and the nature of our industry, the more you’ll respect the job we do. Simply, ArtisTree serves the educated customer. No one can match our willingness to accept responsibility for every service we deliver and for the pride we take in doing the right thing. We call it the ArtisTree Way. Thank you for visiting us. Daniel R. Isaacson is an award winning Landscape Architect with over twenty-five years of professional experience in residential and commercial landscape architecture specializing in planting plans, conceptual pool and hardscape designs, and submission drawings for governmental and community-specific review. His designs have been recognized by the American Society of Landscape Architecture-Florida Chapter, the Southeast Building Conference, and the Collier Building Industry Association. He is licensed in Florida and New Jersey. Michael A. Gilkey, Inc. is a landscape architecture studio in Sarasota, Florida, established in 1981. Through a passion for pure design and personal relationships with architects, contractors and homeowners, we create expressions of outdoor space that are direct translations of our clients’ visions. 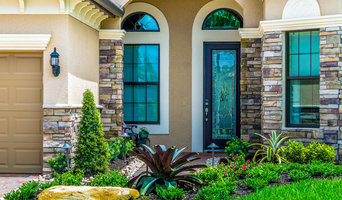 We work with our experienced landscape contracting team, our professional maintenance technicians, and the community’s finest tradesmen to ensure implementation and continuity of each unique concept, through every phase of the design process. OPi is recognized internationally for its superb design and ability to deliver luxurious designs regardless of the location, climate or geography of the land. Whether it’s the wide-open snowy landscapes found in Russia, the high altitudes of the Canadian Rockies, the lush, mountainous terrain of Thousand Island Lakes in China, the lush, steep hillsides of Virgin Gorda or the hot, arid regions of western Mexico, OPi’s work can be found. We have and continue to work for some of the most respected clientele in the world because our passion for superior design translates into any culture. What sets us apart from other firms is our commitment to our clients throughout the design process. Creating beautiful schematic plans is important, but if they do not match the needs and preferences of our clients, then they are merely pretty pictures. We listen to our clients and take their comments and individual preferences as the basis for our design. We want to create the dream garden and pool for you and your lifestyle. OPi was founded by Pat Trefz in 2000 as a design only landscape architectural design firm. Pat Trefz started OPi in SW FL to focus on high end residential design, swimming pool design as well as community design. A native Floridian Pat Trefz founded OPi after graduating from the University of Florida. Art + Nature is a design boutique specializing in micro and pocket-garden design concepts and furnishings. Working with architects, homeowners and designers we provide the opportunity to develop unique, site specific, and visually stunning garden elements and concepts. Led by Dan Mogensen, Art + Nature celebrates creativity in every project. Whether the need may involve a sculpture that perfectly reflects the architectural style of the home or client , a calming fountain set in a natural space, elegantly colorful planters or welcoming gate, Art + Nature’s can seamlessly unites our clients’ love of natural beauty with artful form. Using techniques that incorporate water, sound, color, fire, and light we identify opportunities within the landscape to create beautifully sustainable outdoor spaces and inspired furnishings. With over twenty-five years of experience, our goal is to promote innovation, style and to help maximize every gardens potential for beauty, splendor and surprise. At Art + Nature we realize how easy it is to become overwhelmed by the hundreds of thousands of options available to enhance your landscaping. Let us help you navigate through those options by listening to your priorities, understanding your needs and how you want to utilize the outdoor spaces around your home. We will meet with you on site to identify your garden possibilities. Maybe it’s simply replacing undersized or tired planters, adding a welcoming bench, refreshing a dated entryway or adding the relaxing sound of water via a natural water feature. We’ll discuss how we can beautify the focal points around your home and upon request can provide a design makeover for those areas. Our consultation is complimentary. Landscape Architecture, landscape design, patios, outdoor kitchens, trellises, fire pits, built-in grills and outdoor experiences. Seeking to create thoughtful and elegant exterior living space and landscape solutions, with explorations of context, people, architecture and art. For nearly 20 years Tri County Landscape has been focusing on providing quality workmanship. Our Expert Design team can handle both commercial and residential landscape installation. Let our educated staff provide you a detailed portfolio of your project from start to finish. Take a look at your project on our state of the art Computer Animated Design System. Work with a landscape designer that gives their customers the ability to see their landscape on the computer before shovels hit the ground. Florida Evergreen brings together the professionalism and security of a large established company with the personal, friendly experience of a locally- and family-owned business. With over $1 million in equipment and skilled, hard-working staff members, no job is too big or too small. Today, we serve cities, schools, and other government agencies as well as some of the most prestigious commercial properties, neighborhoods and individual residences. All as their trusted lawn care and landscape provider. We hope you will join the list of our satisfied customers. Contact us today for a free evaluation and estimate. 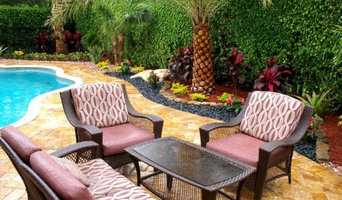 Design Scapes, Inc. is a full service landscape design/build firm, servicing both residential and commercial customers in the Gulf Coast Area of Florida, includes Ft. Myers - Tampa. Our 25 years of commitment to excellence has afforded us the honor of being delegated the Sarasota area’s #1 Landscape Company for 4 consecutive years. Our designers strive to gain enough understanding of a clients’ vision that, not only are they able to exceed expectations; they are able to deliver an experience; one that keeps giving back-- year in, year out. The work of this outdoor professional includes most everything surrounding a home's exterior. A landscaping architect can even work with the home architect to choose the right spot for your Tice, FL house. From there the Tice landscaper will develop preliminary concepts for your front or backyard design based on individual needs including the climate and activities that will take place, as well as layouts and planting plans. Landscape architects will also design any structures or outbuildings that will be added to the space. Any grading changes that will be added to the yard are also the responsibility of the architect. This includes any drainage modifications. An engineer can also be responsible for these tasks, but licensed Florida landscapers are fully capable. Like building architects, they will produce preliminary concept drawings as well as detailed construction documents and planting plans. Three-dimensional renderings and illustrative plans are all supplementary. A Tice landscaping designer generally will have ecological, aesthetic and technical training, which helps them maximize the potential of your outdoor space. Keeping in mind both style and functionality, garden designers analyze your architecture and yard to produce a plan that may or may not include location and materials for walkways, patios, water features, fences, garden aspects and more. In addition, a landscaper in Tice, FL will carefully assess your geographic region to choose plants, trees and flowers that will flourish naturally, as well as address concerns such as drainage, screening and soil conditions. Certain landscape designers only help with the planning portion, while some may deliver the plans and then oversee a hired landscaping contractor. Others — typically following a design-build approach — take care of both the design and all aspects of the landscape architecture and construction. Find a Tice landscape architect on Houzz. Narrow your search in the Professionals section of the website to Tice, FL landscape architects and designers. 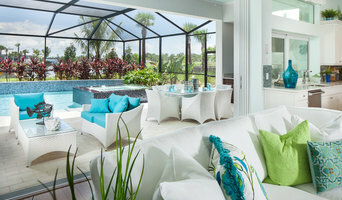 You can also look through Tice, FL photos to find a space you like, then contact the professional who posted the photo.